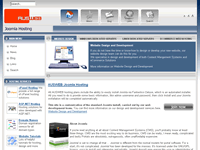 To view our Joomla demo site with a custom template installed, please click on the thumbnail to the right. The site also includes other customizations made by our development team including Simple Image Gallery, which is a great way to show off images and create photo galleries within page content. Login to your Web24 account cPanel by pointing your browser to http://yourdomain.com/cpanel where “yourdomain.com” is your real domain name. You will then be asked for a username and password (this information is supplied in your welcome email). 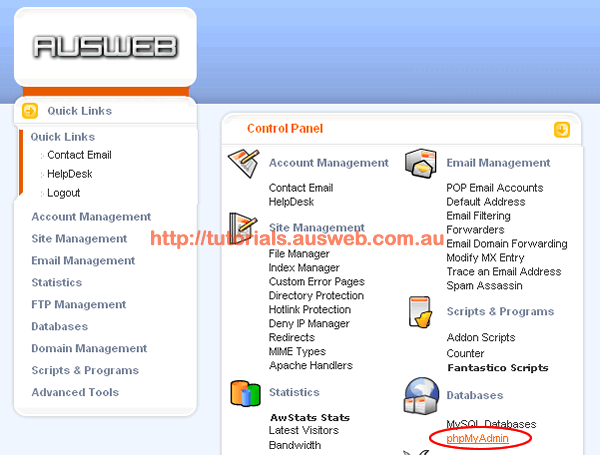 Now that you have logged into cPanel, click “phpMyAdmin” from the list of options. 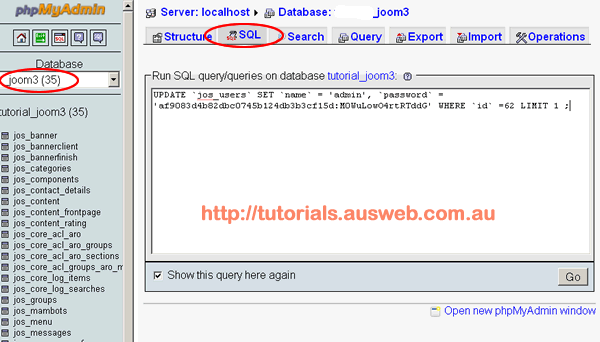 Select your Joomla database from the drop-down list on the left, then click “SQL” from the top menu. Next we enter a MySQL query which will reset the username and password. Note-: If you’re running an older version of Joomla or Mambo, you might need to change jos_users to mos_users. 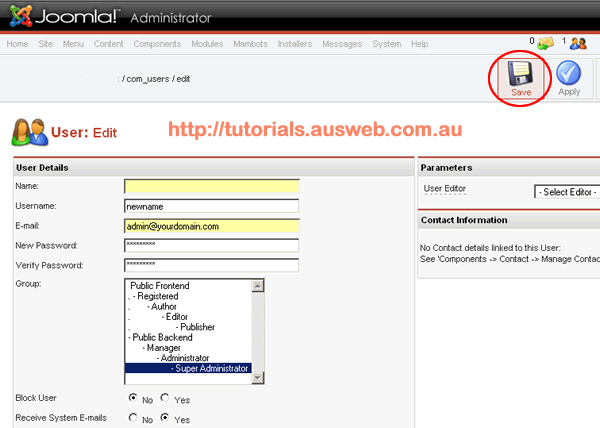 Next, login to your Joomla administrator section with username and password “admin”. Change the username and password to something secure. Ensure your password is at least 8 characters long and consists of at least uppercase, lowercase and numerals. Click “Save” and you are finished.